From APIs to employee-owned smartphones, there are more access points to corporate data than ever before. Have businesses updated their security strategies to reflect this explosion of new targets for potential breaches? 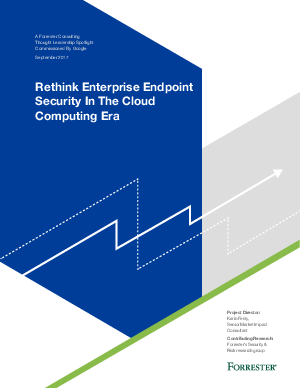 In June 2017, Google commissioned Forrester Consulting to examine how security experts think about endpoint security and learn how the cloud is helping businesses address new vulnerabilities. Download the Forrester report and find out more.